PAUL BRADY was born in Strabane, County Tyrone, in 1947 and was playing guitar by 11. His early music career saw him travel throughout the northwest of Ireland playing piano at holiday resorts such as Bundoran and Rosses Point. After graduating from St Columb’s College in Derry in the early 1960s he moved to Dublin and attended UCD. At that time the country was experiencing a renaissance in traditional Irish music and Brady joined the folk harmony group The Johnstons. The band experienced minor success in Britain and America but in 1974 Paul left them to join his friend Andy Irvine in Planxty. When Planxty split in 1976 Irvine and Brady toured as a hugely successful duo. In 1978 Brady released his critically acclaimed debut solo album Welcome Here Kind Stranger and was awarded Folk Album of the Year by Melody Maker. By the early 1980s though Paul was beginning to tire of playing folk/trad and his next four albums Hard Station (1981 ), True For You (1983 ), Back To Centre (1985 ), and Primitive Dance in (1987 ) were a dramatic departure as he drew heavily upon rock‘n’roll, country, jazz, and blues. His international star rose considerably and his 1991 album Trick Or Treat was his first for major label Mercury Records. Brady moved to Nashville and collaborated with American blues/country singer Bonnie Raitt for many years, including on her Grammy-winning Luck Of the Draw album. Significant chart success in the US though eluded Brady himself. 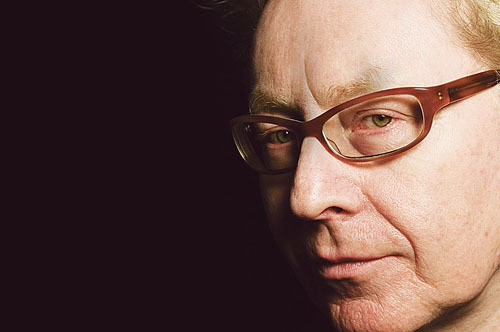 After more than a decade away from home Paul reconnected with his Irish audience when he released Nobody Knows: The Best of Paul Brady in 2002. The album drew together his folk/trad past with songs such as ‘The Lakes of Pontchartrain’ and ‘The Homes of Donegal’ alongside more contemporary tracks such as ‘Crazy Dreams’ and ‘The Island’. This week saw the release of Paul Brady’s 10th studio album Hooba Dooba and he celebrates the release with an extensive Irish and British tour. He will appear with full band at Galway’s Radisson Blu Hotel on Sunday May 2 and will play hits from his 40+ year career. Strabane lies between the border of the Republic and Northern Ireland and those living there are predominantly from a Catholic background. Throughout the 1950s, 1960s, and 1970s it suffered from high unemployment and this was not helped when the railway line through the town was closed. Music, culture, and arts have proved to be an important lifeline for the area and notable artists such as Flann O’Brien, Arty McGlynn, and Brady have emerged from the banks of the River Mourne. “My parents had a very eclectic taste in music and I suppose they passed that on to me,” Paul says. “My father was a big fan of Latin American and Caribbean music and he used to sing a lot of songs from the big shows of the 1940s. Interestingly enough the melody of the song ‘The Island’ owes something to South America and musicologists would be able to tell you that it’s a tango at a very slow tempo. The one bright spot during Paul’s time in Derry was when he would listen to local radio or exchange vinyl records with his friends. “I was gifted, or cursed, depending on how you look at it, by being multi-lingual musically,” Brady says. “I was able to be fluent in many types of music including blues, rock‘n’roll, jazz, funk, pop, traditional, and country. In the era that I grew up in the radio was very wide-ranging in the music that it played. In 1965 the aspiring musician moved to Dublin to attend university but his studies soon went by the wayside as he became more involved in the Irish folk movement. By the end of the following decade the Strabane man was intent on proving himself internationally and left behind traditional music. Like his hero Bob Dylan this movement away from his roots was not universally welcomed by his fans. “Looking back on it now it seems like an even bigger departure than it was at the time,” he says. “I have a reasonably good following in America and I spent a good solid five or six years aiming at that market. “Unfortunately though I took my eye off the ball in terms of Ireland and the UK. A lot of people in Ireland like what I do and feel that I’m part of their lives culturally and I’ve never really embraced that. Brady’s new album Hooba Dooba has just been released to much acclaim and brings back to his repertoire the music he first heard in his home in Strabane.